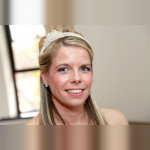 My name is Fiona Harris, I am 35 years old and live in Carluke with my husband. I have always enjoyed working with children and it has been something I have wanted to do since I was a child. In my current position I care for an 18 month old boy 3 days per week. This position will end mid-February 2017 so I would like to find a new position which will begin around this time. We enjoy doing many things together such as going to the park, reading,arts and crafts, puzzles and games. I believe in giving children an education through these play experiences and I feel that it is important to make learning fun. I consider myself to be a reliable and trustworthy person, I get on well with both adults and children and feel that in a nanny position it is important for me to have a good relationship with everyone in the house. I have 14 years of experience working with children, in both nurseries and as a nanny. August 2014 -April 2016. I worked as a room supervisor for the 18 months - 3 years children at Grand-Y-Care nursery in Lanark. My duties were to lead a small team, implement the curriculum and relevant documents, plan stimulating and challenging learning experiences which were age and stage appropriate. April 2011 - July 2014. I started working for the family when the youngest child was 7 months old and the oldest child was 4 years old. Within the position my duties were to take the oldest child to and from school as well as any after school activities. With the youngest child I spent the morning doing activities in the house or going out to the park and meeting her friends before going to nursery in the afternoon. I also did some small household tasks such as ironing,cooking for the children and some day to day cleaning. I previously worked for the same family in Aberdeen between 2008 and 2009, at the time they only had one child who was 14 months old. I decided to relocate back to Glasgow and not long after me they also moved to Glasgow and asked me to care for their children again. March 2009 to April 2011 I worked as a room supervisor for the pre 5's at Little Me Nursery in Maryhill. My duties were to oversee the planning and implementing of the curriculum, liase with management, work alongside parents and to provide a happy and stimulating environment for children. August 2002 to April 2008 I worked at Glasgow University Nursery. I started working here when I first qualified and worked my way up to deputy manager of the nursery. I enjoyed my time here and bonded well with many staff, parents and children but I felt it was time to move on as my position had become more office based than working with children and I missed that. I am available from mid February 2016, full or part time would be considered. £9.00 - £10.00 per hour.